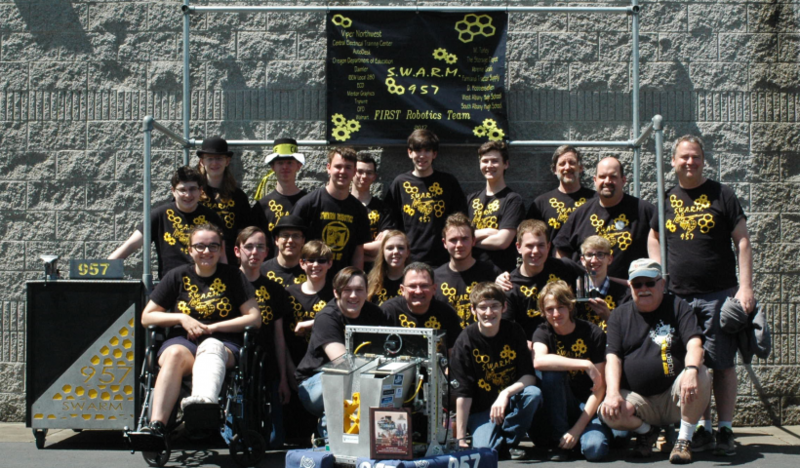 The South and West Albany Robotics Maniacs (SWARM) team has been awarded a $2,500 grant from the Oregon Department of Education. 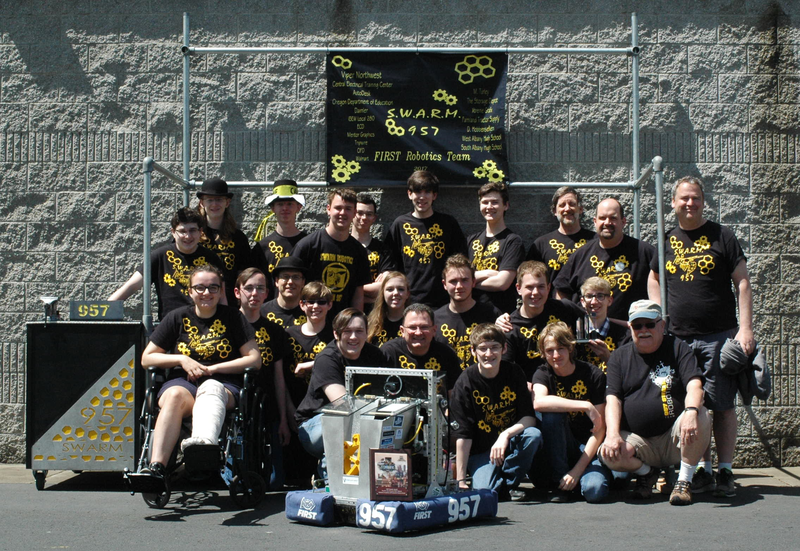 This was the highest grant award in the state for the $20,000 grant program for Oregon teams. The grant will provide an important part of the financial support the team needs to compete. According to volunteer Jodie Bowen, the team has worked on fundraising for this year’s challenge all year. “The entire team has put in countless hours throughout the year, including the summer, to raise awareness and money to fund the 2017-18 year,” she said. This grant was part of the year-long fundraising effort. West Albany High School junior Josh Richardson was responsible for the grant writing that made this particular award possible. The team is preparing for the FIRST Robotics competition, which start later this year. The challenge includes skills in science, technology, engineering and math to design and build a robot using a standard “kit of parts” within a common set of rules to play a sophisticated field game during the tournaments. Each team is guided by mentors with expertise in their fields. The team meets every Thursday evening at South Albany High School in the woodshop. During the build season they meet more frequently. This will be the first year the team will use space at one of the high schools. In prior years, they had been meeting in Tangent, but the donated space is no longer available. The competition will officially start at the competition kickoff on Jan. 6, 2018.